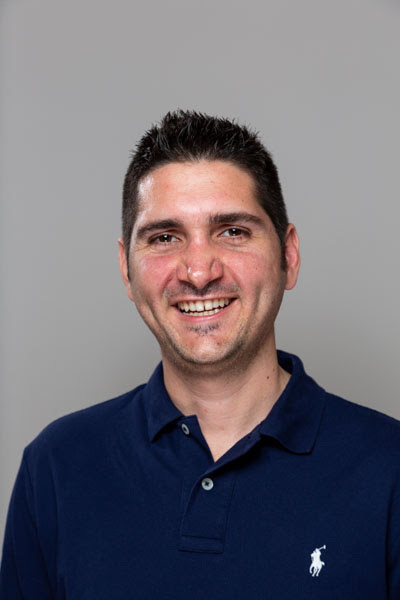 Foti Panagio is the Founder of GrowthMentor.io, a business that ignited out of a desire to scratch his own itch: Foti wanted a better way to connect with smart people, without the awkward outreach part. He built GrowthMentor, a curated platform that offers invite-only startups an easy and affordable way to talk to the right people, get tactical advice and mentorship from vetted experts that will help them grow. Foti’s a full stack marketer, who previously worked for a decade managing distributed growth teams, with an overlap into InfraOps. From our interview you’ll learn more about how Seth Godin’s book “The Dip” gave him the ammunition he needed to stick when he thought about quitting, and why young people should build confidence through reading books on innovation and leadership. P.S. Thanks, Julian, for introducing us! My favourite business book at the moment is The Dip by Seth Godin because it has some great advice on when to stick with something and when to quit. I’m currently working on a new venture called GrowthMentor.io and The Dip gave me the ammunition I needed to follow my gut and to stick with the project even when I felt like shelving it and moving on to something else. As for a non-business book, it’s got to be Alice in Wonderland by C. S. Lewis. It’s an unrivalled work of imagination and shows what it looks like to “think outside the box”. Sometimes I like to flick through a copy and look at the illustrations if I’m stuck on a problem and need some inspiration. I touched on this in my last answer. When I was reading The Dip, I could almost superimpose what Godin was saying directly on top of my own work. Without The Dip, I might have bailed on the project or switched my attention somewhere else. That said, I’m a believer that life is full of lessons for us, so perhaps I would have come to the same conclusion no matter which book I was reading at the time. It’s hard to think of specific examples, but the books that I’ve read throughout the years have definitely helped to shape my career. If nothing else, reading gives me an idea of what’s hot and what’s not in the technological world and helps me to position myself in the right place to take advantage of the latest trends and technologies. I’ve also used books to teach myself specific skills, from sales and marketing to working with specific programming languages. There are certain books that I’ve read multiple times, but the books that have had the biggest impact on me have been all those forgettable books along the way where I’ve picked up the knowledge I’ve needed to get my job done. Honestly, it’s not really as simple as following a career path, at least not anymore. I’d recommend instead reading books on innovation and leadership because that can give you the confidence you need to blaze your own trail and to take your career as it comes. I’d suggest that a good background reading list would include How to Win Friends and Influence People by Dale Carnegie, Permission Marketing by Seth Godin, The Tipping Point by Malcolm Gladwell, Losing My Virginity by Richard Branson and The Art of War by Sun Tzu. We’re interested in finding out more about your reading habits. How do you make time for reading? How often do you read? What format do you prefer? I fit it in wherever I can and will happily read in different formats. I’ll listen to audio books while driving, read on my phone if I’m waiting around at the doctor’s surgery and try to pick up physical copies in my limited amount of free time. I prefer reading physical copies but I don’t get to them as often as I’d like. I take notes on everything, regardless of whether I’m reading a book or whether I’m in a meeting or on a phone call. I recommend carrying a pen and a notebook around at all times just in case. You never know when inspiration might strike. How do you choose what books to read next? Do you prioritize books recommended by certain people? I’m pretty much a mood reader. I just make sure that I have multiple books queued up at any one time so that I can pick up whatever I feel like whenever I feel like reading. That’s probably why I have so many half-read books on my nightstand. I’m just about to pick up Future Brain: The 12 Keys to Create Your High-Performance Brain by Jenny Brockis. I’m hoping to pick up a few tips and tricks that I can use to work even more efficiently than I already do, but I’ve heard good things about it in general and it’s published by Wiley, so I’m sure it’ll be fascinating either way.